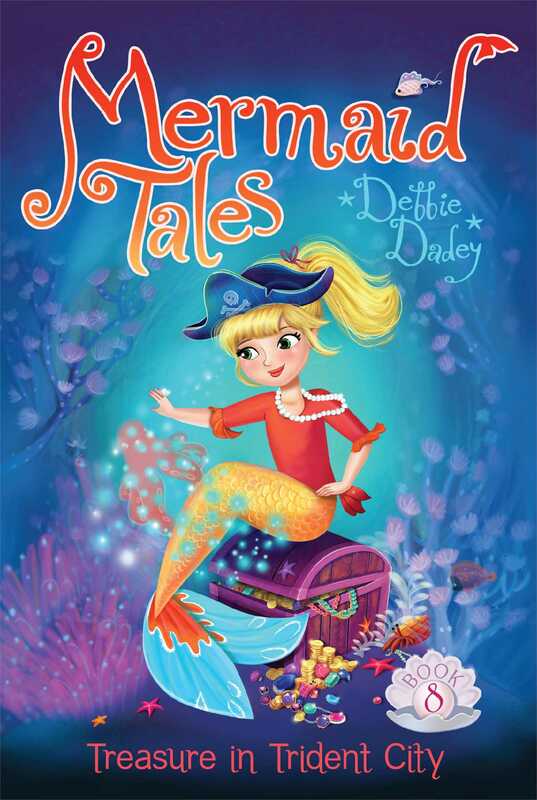 The merkids hunt for hidden treasure in this Mermaid Tales adventure! The hunt is on! Pearl recruits fellow merkids Rocky and Wanda to help her track down the treasure by swimming all the way past Whale Mountain. But when they discover the pirate ship, they hear eerie moans and groans coming from within. What’s making those sounds? Could the pirate ghosts be real? And can the merkids get the jewels before becoming someone’s—or something’s—lunch? PEARL SWAMP CURLED THE TIP of her gold tail to make a bow. Then she flipped it out quickly to make a circle. It was hard to do while seated, but just for fun, she began practicing her Tail Flippers dance. 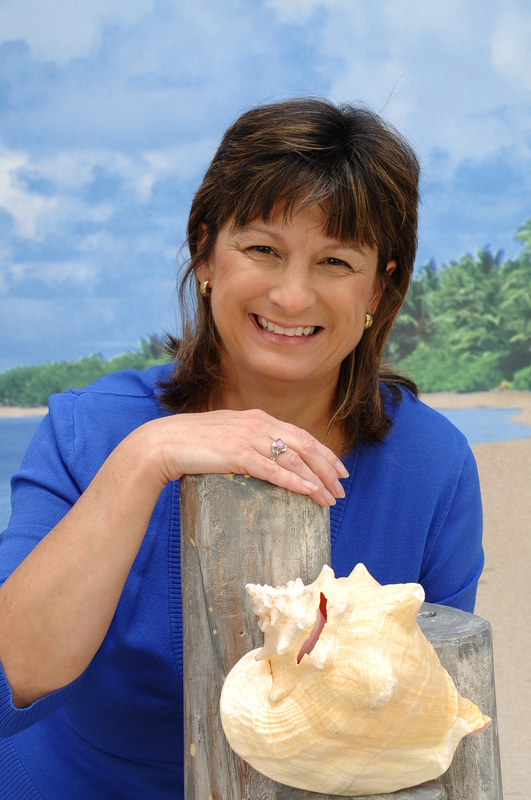 Her school, Trident Academy, had a dance and gymnastics group called the Tail Flippers. Pearl was so proud that she’d made the team this year! Pearl sat up straight and stared innocently at her teacher. “Of course! I always pay attention to you, Mrs. Karp.” Of course, that wasn’t exactly true. Pearl did try to pay attention, but sometimes school was just too boring! She longed for something exciting to happen. A merboy named Rocky Ridge groaned loud enough for the whole class to hear. Pearl felt like groaning too. Mrs. Karp was always coming up with new tasks for them, some very dull! “Don’t you have a mirror?” Pearl asked in surprise. Even though Kiki was from far-off waters, Pearl couldn’t believe she didn’t know what a mirror was! Pearl sniffed, tossing her long blond hair behind her shoulders. Shelly was such a know-it-all. Just because she lived with her grandfather in an apartment above the People Museum, she thought she was an expert on all human things. “My family has ten of them,” Pearl bragged. “No one has ten mirrors in their shell,” Rocky scoffed. Pearl knew that was true. Rocky was always making up tales, and they were usually great big fat lies. But even Pearl had to admit she liked the idea of being in front of the class and telling a story she made up. She could say almost anything! Plus, Pearl loved it when everyone looked at her. It made her feel so special. Mrs. Karp thumped her white tail on her desk to get everyone’s attention. “It’s time to head to the library to choose the stories for your first assignment.” The merkids floated down the hall. Pearl wasn’t eager to find a story among all the rock and seaweed books, but she did love looking at the beautiful domed library ceiling. It was made of glistening mother-of-pearl, and its fancy chandeliers sparkled with glowing jellyfish. If the whole school was as pretty as the library, Pearl was sure she would like studying more.